Located in the south cove region of Mykonos in a residential area Lia Nest will offer you the advantage of going from one beach to another (Elia beach, Kalafati beach, Lia beach and Kalo Livadi) and enjoy Mykonian 'beach fly". 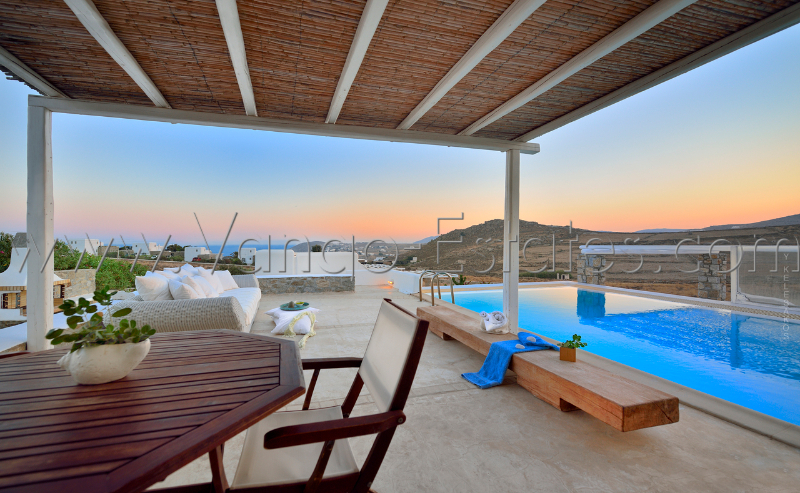 The villa is on 2 levels, the first level consists of the kitchen, the living and an en suite bedroom. You have access to the furnished outdoor area where you can enjoy the pool and the lounge for an iced coffee or a drink. The second level has living area, a en suite bedroom, another bedroom and a bathroom. Access to the BBQ area and the outdoor dining area for breakfast and Mediterranean meals. The villa is equipped with A/C, T.V., DVD, BBQ and with a parking for your car. If you a a larger group we do provide other houses in a nearby private complex or private villas.